Hubert Lederer Dreyfus (born October 15, 1929) is an American philosopher and professor of philosophy at the University of California, Berkeley. His main interests include phenomenology, existentialism and the philosophy of both psychology and literature, as well as the philosophical implications of artificial intelligence. Dreyfus is known for his exegesis of Martin Heidegger, which critics labeled "Dreydegger". Dreyfus is featured in Tao Ruspoli's film Being in the World. He was elected a Fellow of the American Academy of Arts and Sciences in 2001 and is a recipient of the Harbison Prize for Outstanding Teaching at UC Berkeley. Erasmus University awarded Dreyfus an honorary doctorate "for his brilliant and highly influential work in the field of artificial intelligence, and for his equally outstanding contributions to the analysis and interpretation of twentieth century continental philosophy". A number of his students have gone on to hold tenured positions in leading American philosophy departments while working on themes related to Heidegger and phenomenology, including Taylor Carman, John Haugeland, Sean Dorrance Kelly, Iain Thomson, and Mark Wrathall. Born in Terre Haute, Indiana to Stanley S. and Irene Lederer Dreyfus, Dreyfus was educated at Harvard University, earning three degrees there, with a BA in 1951, an MA in 1952, and a PhD in 1964, under the supervision of Dagfinn Føllesdal. He is considered a leading interpreter of the work of Edmund Husserl, Michel Foucault, and Maurice Merleau-Ponty, but especially of Martin Heidegger. His Being-in-the-World: A Commentary on Heidegger's "Being and Time," Division 1, is thought by many who have attempted to teach Heidegger to undergraduates to be the authoritative text on Heidegger's most significant contribution to philosophy.ref needed He also co-authored Michel Foucault: Beyond Structuralism and Hermeneutics, translated Merleau-Ponty's Sense and Non-Sense, and authored the controversial 1972 book What Computers Can't Do, revised first in 1979, and then again in 1992 with a new introduction as What Computers Still Can't Do. 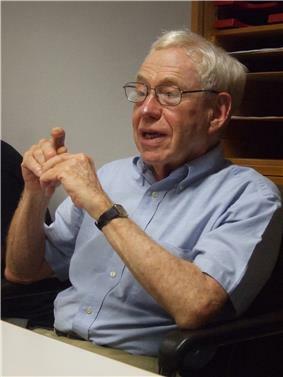 While spending most of his teaching career at Berkeley, Dreyfus has also taught at Brandeis University (1957 to 1959), the Massachusetts Institute of Technology (from 1960 to 1968), the University of Frankfurt, Hamilton College and held the Spinoza Chair of Philosophy at the University of Amsterdam in 2003. His philosophical work has influenced Richard Rorty, Charles Taylor, John Searle, and his former student John Haugeland, among others. His critical comments on the existential phenomenology and subsequent dialectical philosophy of Jean-Paul Sartre may well have played a significant role in the demise of Sartre's influence on recent thought. In 1965, while teaching at Massachusetts Institute of Technology, Dreyfus published "Alchemy and Artificial Intelligence", an attack on the work of Allen Newell and Herbert A. Simon, two of the leading researchers in the field of Artificial Intelligence. Dreyfus not only questioned the results they had so far obtained, but he also criticized their basic presupposition (that intelligence consists of the manipulation of physical symbols according to formal rules), and argued that the AI research program was doomed to failure. In 1965, he spent time at the Rand Corporation, while work on artificial intelligence was in progress there. In addition to criticizing artificial intelligence, Dreyfus is well known for making the work of continental philosophers, especially Martin Heidegger, Maurice Merleau-Ponty, and Michel Foucault, intelligible to analytically trained philosophers. His younger brother, Stuart Dreyfus, earned a Ph.D. in applied mathematics and is a professor of industrial engineering and operations research at the University of California, Berkeley. Dreyfus's critique of artificial intelligence (AI) concerns what he considers to be the four primary assumptions of AI research. The first two assumptions are what he calls the "biological" and "psychological" assumptions. The biological assumption is that the brain is analogous to computer hardware and the mind is analogous to computer software. The psychological assumption is that the mind works by performing discrete computations (in the form of algorithmic rules) on discrete representations or symbols. Dreyfus claims that the plausibility of the psychological assumption rests on two others: the epistemological and ontological assumptions. The epistemological assumption is that all activity (either by animate or inanimate objects) can be formalised (mathematically) in the form of predictive rules or laws. The ontological assumption is that reality consists entirely of a set of mutually independent, atomic (indivisible) facts. It's because of the epistemological assumption that workers in the field argue that intelligence is the same as formal rule-following, and it's because of the ontological one that they argue that human knowledge consists entirely of internal representations of reality. On the basis of these two assumptions, workers in the field claim that cognition is the manipulation of internal symbols by internal rules, and that, therefore, human behaviour is, to a large extent, context free (see contextualism). Therefore a truly scientific psychology is possible, which will detail the 'internal' rules of the human mind, in the same way the laws of physics detail the 'external' laws of the physical world. But it is this key assumption that Dreyfus denies. In other words, he argues that we cannot now (and never will) be able to understand our own behavior in the same way as we understand objects in, for example, physics or chemistry: that is, by considering ourselves as things whose behaviour can be predicted via 'objective', context free scientific laws. According to Dreyfus, a context-free psychology is a contradiction in terms. Dreyfus's arguments against this position are taken from the phenomenological and hermeneutical tradition (especially the work of Martin Heidegger). Heidegger argued that, contrary to the cognitivist views on which AI is based, our being is in fact highly context-bound, which is why the two context-free assumptions are false. Dreyfus doesn't deny that we can choose to see human (or any) activity as being 'law-governed', in the same way that we can choose to see reality as consisting of indivisible atomic facts ... if we wish. But it is a huge leap from that to state that because we want to or can see things in this way that it is therefore an objective fact that they are the case. In fact, Dreyfus argues that they are not (necessarily) the case, and that, therefore, any research program that assumes they are will quickly run into profound theoretical and practical problems. Therefore the current efforts of workers in the field are doomed to failure. Daniel Crevier writes: "time has proven the accuracy and perceptiveness of some of Dreyfus's comments. Had he formulated them less aggressively, constructive actions they suggested might have been taken much earlier." When UC Berkeley and Apple began making a selected number of lecture classes freely available to the public as podcasts beginning around 2006, a recording of Dreyfus teaching a course called "Man, God, and Society in Western Literature - From Gods to God and Back" rose to 58th most popular webcast on iTunes. These webcasts have attracted the attention of many, including non-academics, to Dreyfus and his subject area. 1965. "Alchemy and Artificial Intelligence". Rand Paper. 2011. (with Sean Dorrance Kelly) All Things Shining: Reading the Western Classics to Find Meaning in a Secular Age. Reviewed by Garry Wills in New York Review of Books, April 7, 2011, pages 16–18. ^ Woessner, Martin (2011). Heidegger in America. Cambridge University Press. p. 203. ^ "Book of Members, 1780-2010: Chapter D" (PDF). American Academy of Arts and Sciences. Retrieved 19 April 2011. ^ Quinn, Michelle (24 November 2007). "The iPod lecture circuit". Los Angeles Times. Mark Johnson, 1999. Philosophy in the Flesh: the Embodied Mind and its Challenge to Western Thought. Basic Books.